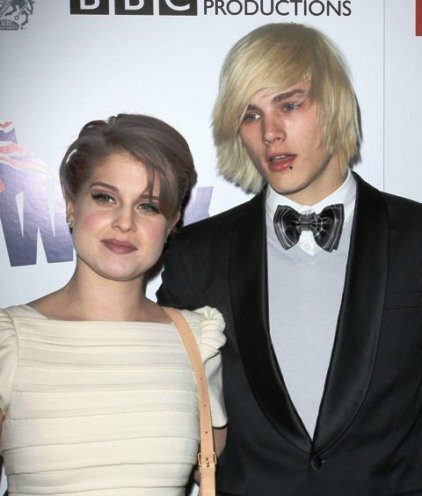 Kelly Osbourne And Luke Worrall Broke Up Because He Cheated. Allegedly. Kelly Osbourne, 25, and Luke Worrall, 20, have ended their two-year engagement amid rumors he cheated with some random female model he met at some random photo shoot recently. Hmmm…..Sharon Osbourne and Ozzy must have known something back in 2008 when their then 23-year-old daughter first became engaged to a guy five years her junior. I’m not saying they necessarily knew Luke was going to (allegedly) cheat, but they certainly knew the young couple needed to wait before they took the plunge. Mom Sharon Osbourne is also in favor of an extended engagement. When I look back and think about a certain person I could have married, I see how everything happens for a reason, and am thankful nothing ever came of it. Boy, am I thankful!! previous post: Fashion Fights AIDS San Francisco – More Designers Added!! 50 queries in 0.600 seconds.